Somma totayles of buryalls with in the. 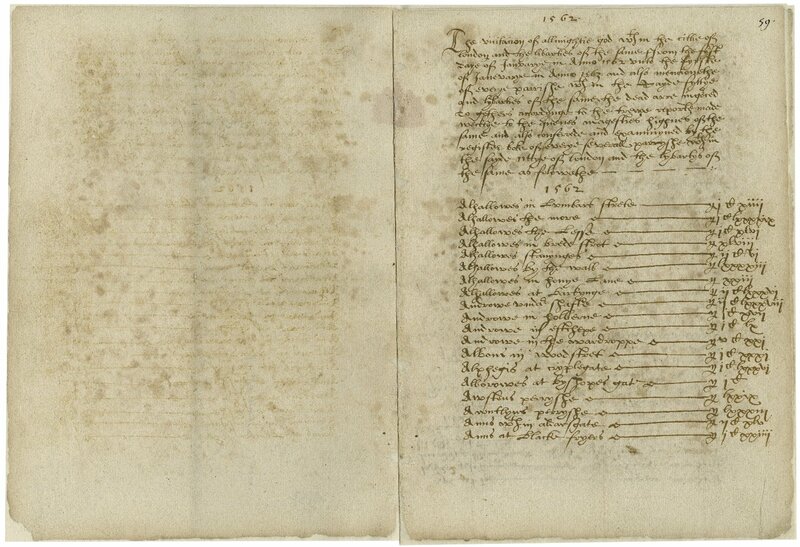 Summary of the bills of mortality based on the weekly returns supplied by the parishes within the city of London and its liberties and Westminster. The Map of Early Modern London, edited by Janelle Jenstad, U of Victoria, 20 Jun. 2018, mapoflondon.uvic.ca/MORT8.htm. 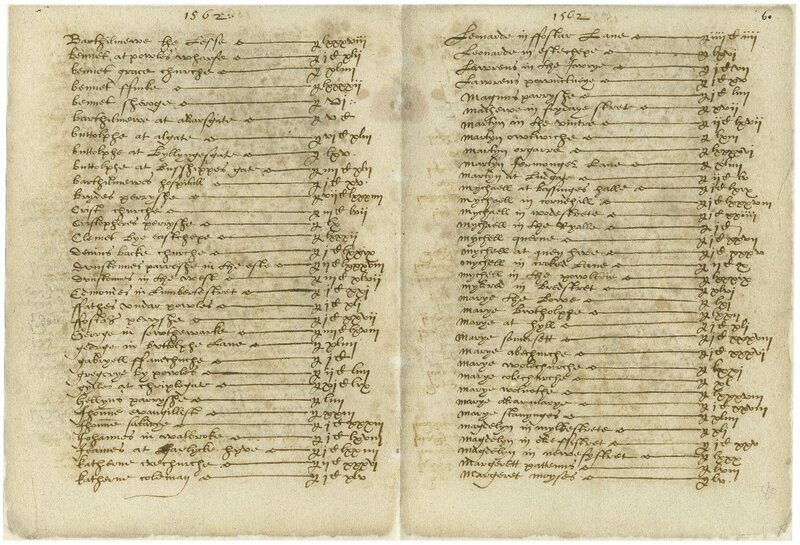 Summary of the bills of mortality based on the weekly returns supplied by the parishes within the city of London and its liberties and Westminster. The Map of Early Modern London. Ed. Janelle Jenstad. Victoria: University of Victoria. Accessed June 20, 2018. http://mapoflondon.uvic.ca/MORT8.htm. 2018. 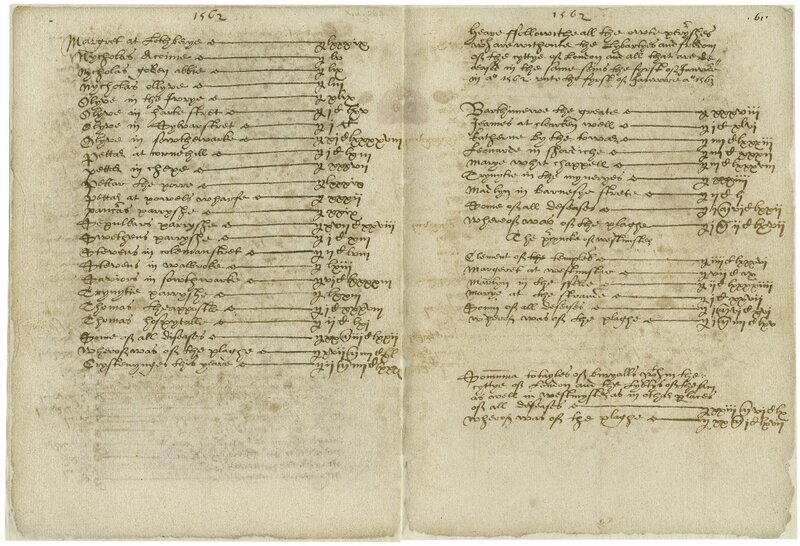 Summary of the bills of mortality based on the weekly returns supplied by the parishes within the city of London and its liberties and Westminster. In J. Jenstad (Ed), The Map of Early Modern London. Victoria: University of Victoria. Retrieved from http://mapoflondon.uvic.ca/MORT8.htm.